Why am I talking about painting a picture vs. taking a picture? It all comes down to perspective. 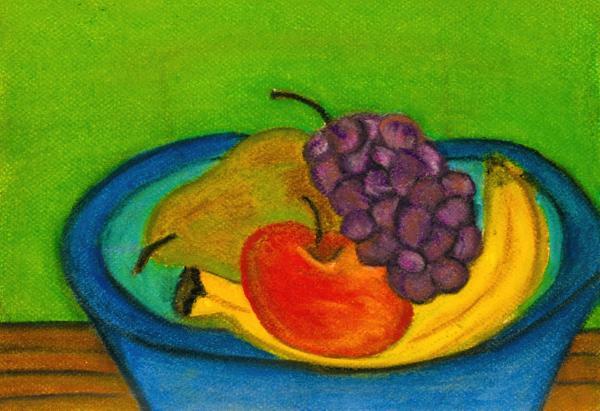 If you set up a bowl of fruit in a classroom and ask a group of students to paint that bowl of fruit.. they will interpret that bowl of fruit.. each one in their own way. Nothing has changed about that bowl of fruit. But if you have 24 students.. you're likely to get 24 different versions of that bowl of fruit.. (unless someone sneaks a printing press into the classroom.) The colors, texture, size, angle, lines and all will be somewhat different. If you have each student take a picture. The pictures may be different sizes and angles.. they may print it in black and white, but what is captured on that roll of film is what was seen and represented for that point in time in that classroom. Whatever we do, Do it in love... say it in love, paint a new picture for someone else in Love. If it is not accepted in love do as the old prophets would do, .. dust off your heels and go your way.